Hand pies are a New Orleans tradition thanks to local business Hubig’s. Unfortunately, with Hubig’s currently not in operation due to a devastating fire (they promise to rebuild), I had to make my own hand pies to get my fix. 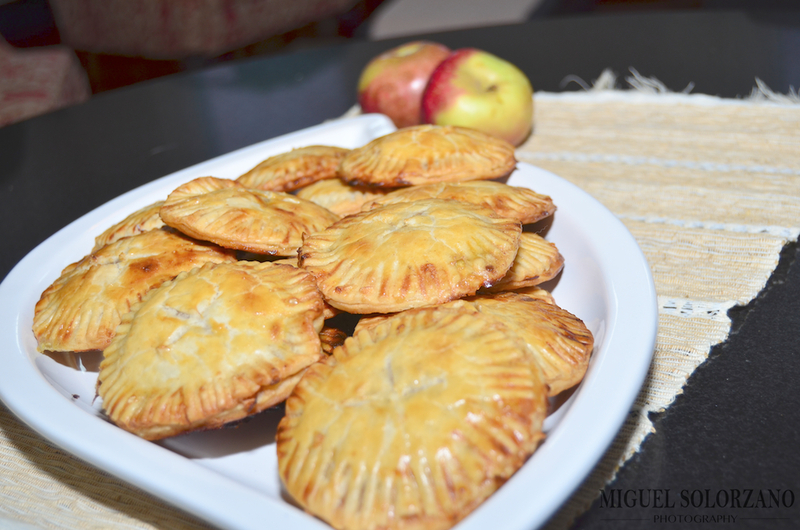 But, all in all, I’m proud of how these Caramel Apple Hand Pies turned out. I’m a huge fan of caramel apples so I whipped up some caramel and mixed it with the apples to create the caramel apple filling. 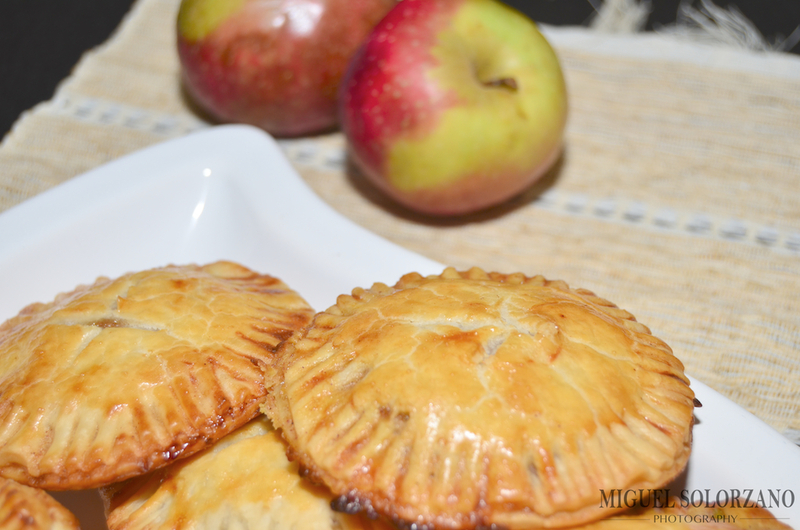 Caramel Apple Hand Pies encompass wonderful Fall flavors. Heat sugar and water in a 3-quart saucepan over medium-high heat, stirring to dissolve sugar. When sugar comes to a boil, stop stirring. Boil until the liquid sugar turns a dark amber color then add all the butter. The mixture will foam up and thicken. Whisk until the butter has melted. Once butter has melted, remove pan from the heat. Add the cream (the mixture will foam up again) and whisk to incorporate cream and until mixture is smooth. Set aside caramel to cool. Making the caramel from scratch is worth the effort. Roll out pre-made pie crust dough and use a 4-inch circular pastry cutter to cut circles out of the dough. Repeat with each dough remains. Set dough circles aside on a parchment-lined baking sheet. Toss apples with cinnamon and remaining sugar. Once caramel has cooled, add apples to the caramel and stir to incorporate. 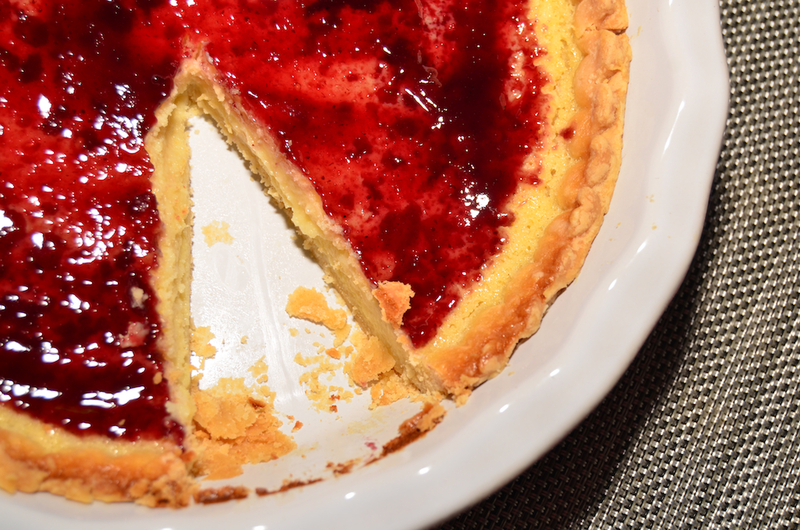 Using a knife, score an X into the top of each pie so filling can vent its heat out while baking. Once all pies are assembled (you may need to work in batches if you have one baking sheet), whisk egg yolks in a small bowl. 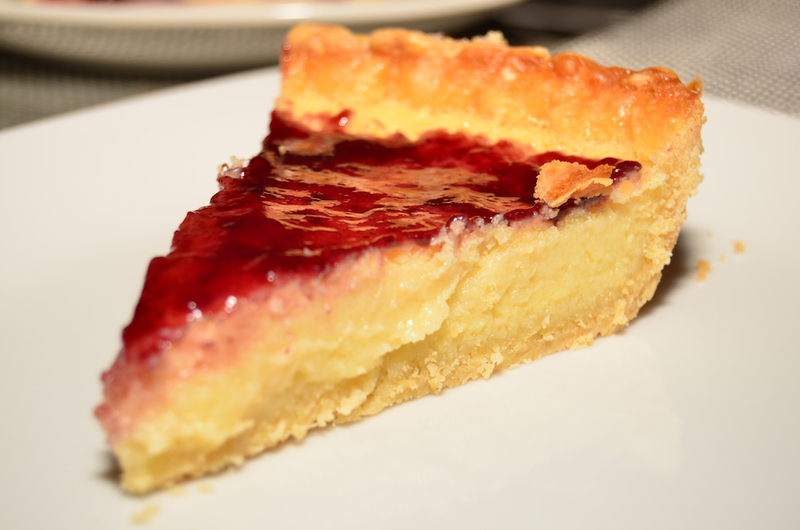 Using a pastry brush, brush each hand pie with the egg wash. Sprinkle each pie with additional sugar, if desired. 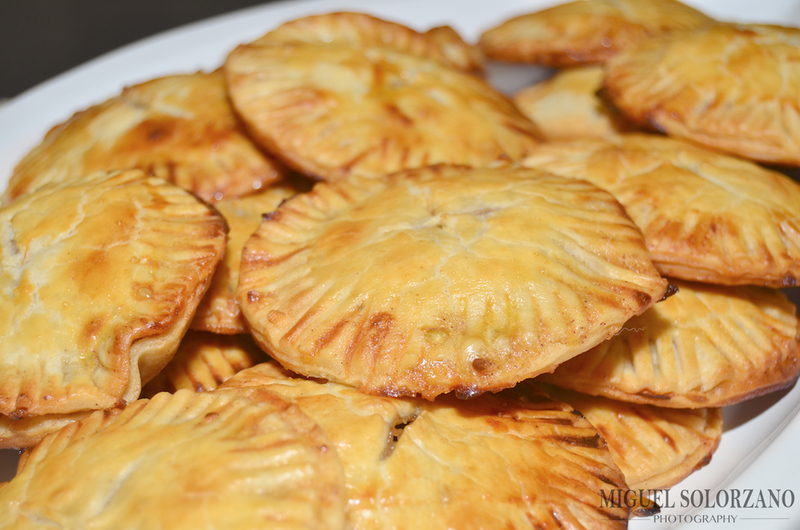 Bake hand pies for 12-15 minutes or until crust turns golden brown. While my recipe is for hand pies, you can also go the traditional route and just make a caramel apple pie using two pie crusts. Either way, the filling in this recipe is a star. Making the caramel from scratch really makes a difference. These Caramel Apple Hand Pies are perfect for Fall and Winter parties while apples are in season. Plus, they’re easier to eat. And I guarantee you will have very few left over when all is said and done. I’m probably biased, but I think Louisiana is home to the best strawberries on Earth. I’m planning on picking up a pallet in a couple weeks to really experiment with all things strawberries. 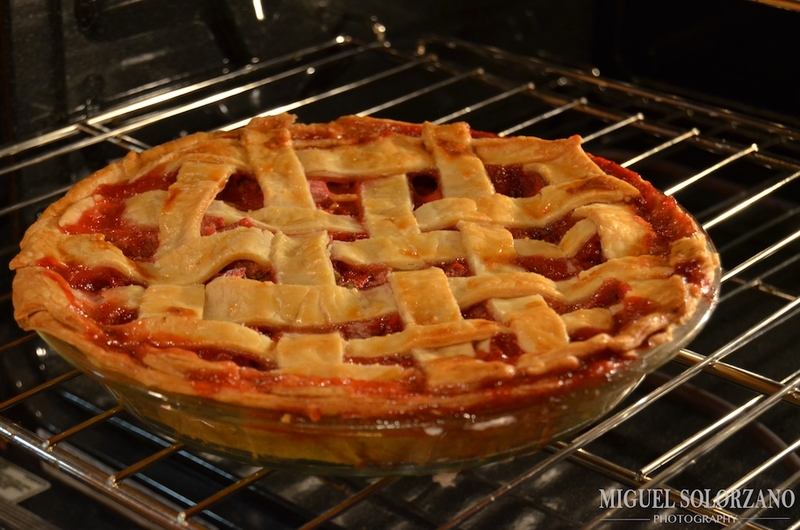 This past weekend, I picked up a couple pints from a local farmer’s market and decided to make a Strawberry-Rhubarb Pie. Unfortunately, I only had frozen rhubarb, but the result was still spectacular. Maybe because I also chose to throw in some fresh basil. 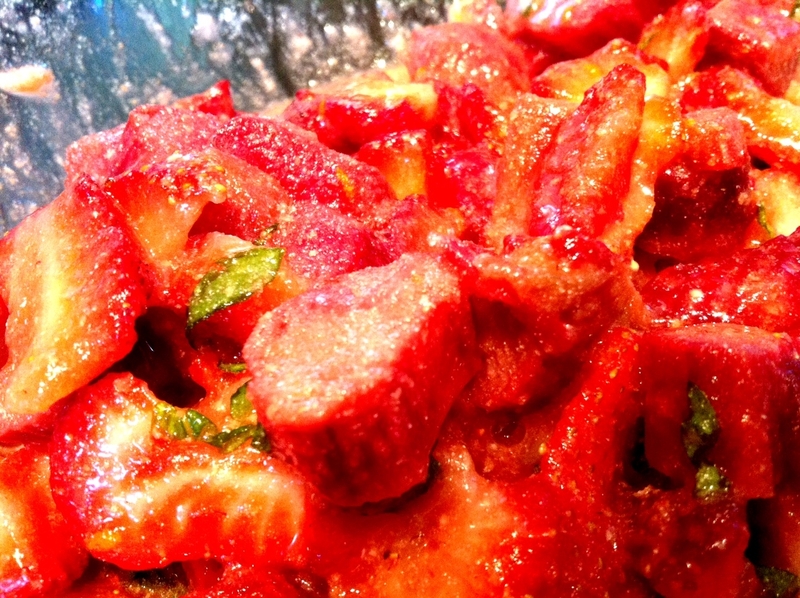 For the pie filling, mix together the strawberries, rhubarb, basil, orange zest, sugar and flour. Add the filling and drop in pieces of butter on top. 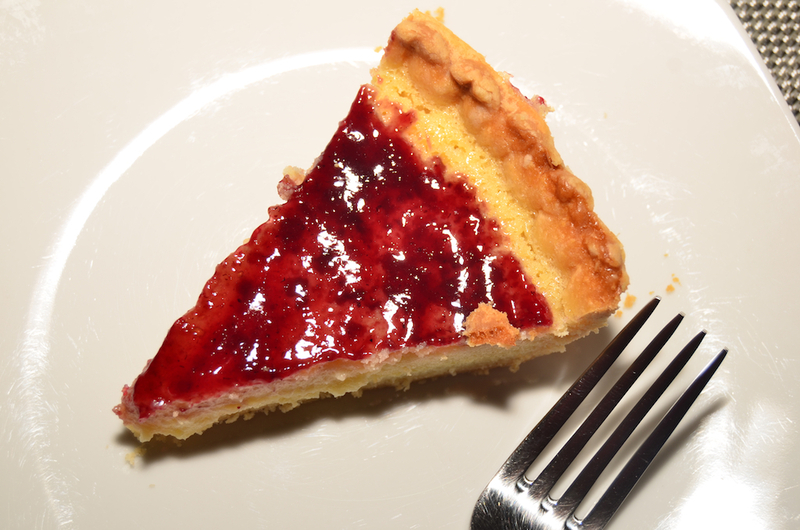 Cut remaining pie crust into 1/2-inch to 3/4-inch strips (with a knife or pastry cutter). 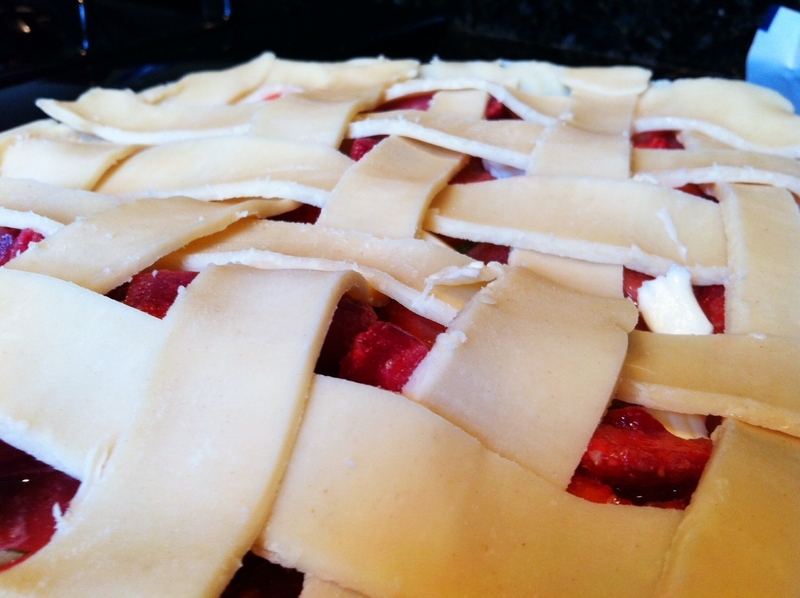 Weave the pie crust strips over the top of the pie, fluting the edges. Whisk the egg in a small bowl and brush over the top of the pie. Bake pie at 400F for 15 minutes, then reduce heat to 350F and cook another 35-40 minutes (or until filling is about to bubble over and the crust is slightly browned. Cool pie on a wire rack for 2 hours. This really is the perfect pie for Spring and/or Summer. It’s fresh, light and has a nice tang to it. The filling actually reminded me of the taste of Gushers (the fruit snacks). I ran out of time, but I was planning on topping mine with basil whipped cream. I think the basil whipped cream would give it an even better pop of flavor.